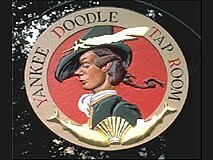 PA3 Happy Hour at the Yankee Doodle Tap Room! Come have fun with fellow PA3ers as we meet for drinks at the Tap Room on April Fool's Day! Share best anecdotes of pranks you played--or were played on you. It would be foolish to miss this! Isles has obtained another building on its Johnston Avenue site and is converting it to a new home for TerraCycle. PA3 volunteers will once again have a chance to tear down an interior and do some renovation. Weather permitting, we’ll also be doing prep work on the outside walls; the TerraCycle folks plan to decorate the building’s exterior with graffiti (“urban art”), as they’ve done at their New York Avenue site (pictures here). Friends and family members (ages 10 and up) are welcome. No experience required. To sign up, please email Arlen Hastings. Lunch: Bring your own, or bring $6 per person for pizza; exact change appreciated. Isles will provide: Coffee, drinking water, and indoor plumbing; all necessary tools and equipment. Dress code: Long pants, sturdy shoes, something orange or otherwise Princetonian, and your PA3 cap if you have one. New volunteers will be given PA3 caps. NJ Tigers! Princeton Project 55 is looking for a few good alumni activists to revitalize its Garden State program. Now in its 20th year, PP55 seeks NJ volunteers to help find and frame 5 to 7 New Jersey-based fellowships, mentor selected fellows, and participate in statewide NJ fellows colloquia. Either individually or through local Princeton clubs, here's a wonderful chance to be part of a great Princeton alumni initiative, as well as address important NJ needs, connect with fantastic young grads, and improve NJ's welfare. Please consider joining our provisional project team, which will convene in time for PP55's 20th anniversary gala this June at Reunions. Contact Tom Pyle '76. Sunday, April 18, 8:30-11:00: PA3 is going back to the Princeton YMCA - site of a playground building project in October - to help out at the "Healthy Kids Triathlon." Volunteers are needed to direct kids on the course; serve as timekeepers for swimming, biking and running; help with the transition between events; and take pictures. Early risers might want to help with parking, registration and set-up (8:00-9:00), and a few volunteers will be needed to hand out awards and snacks (11:00-12:00). If your child (ages 3-12) would like to participate in the triathlon, registration information is here. For more information or to sign up, please email Arlen Hastings. Saturday, April 17, 10:00-4:00: Isles has obtained another building on its Johnston Avenue site and is converting it to a new home for TerraCycle. PA3 volunteers will once again have a chance to tear down an interior and do some renovation. Weather permitting, we'll also be doing prep work on the outside walls; TerraCycle plans to decorate the building's exterior with graffiti ("urban art"), as they've done at their New York Avenue site (pictures here). Please note: the Isles gardening project has been canceled. We're on the lookout for other volunteer gardening opportunities; suggestions welcome.